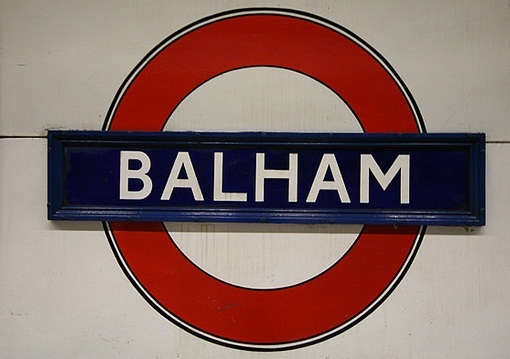 Balham was known as Baelenham in 957 and later as Bealganhamm being derived from the personal name of the Saxon Bealga, and Old English ham, a' homestead'. It means ' the home of Bealga' and his family who once lived on a site here. It was recorded as Balgaham in c. 1115. The station was opened as BALHAM on 6 December 1926. 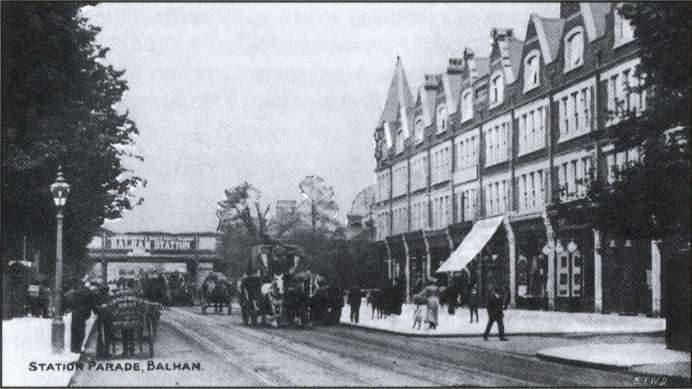 Balham High Street, showing the railway bridge carrying the LBSC main line between Victoria and Brighton. The Northern Line station would be erected beside the bridge about twenty years after this photograph was taken.